The layoff ax fell at Newsweek on Friday, a day after its affiliated website, International Business Times, saw dozens of employees let go. 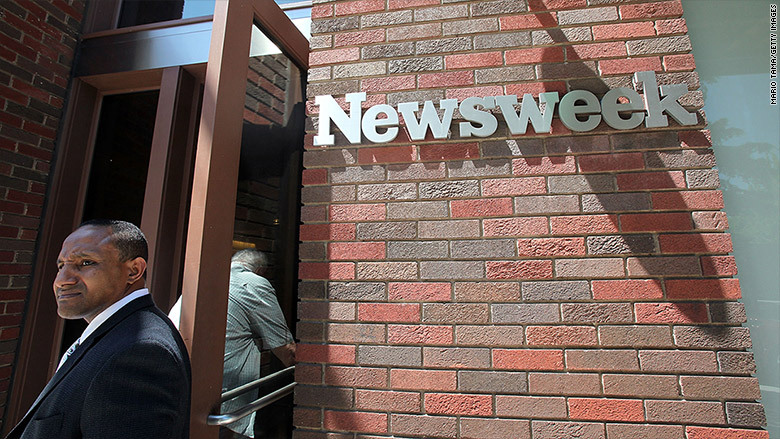 Around a half dozen Newsweek employees were laid off, according to a source. Among those affected by the cuts at Newsweek were tech editor Grant Burningham, whose departure was mourned on Twitter by his colleagues, and another member of the tech team, reporter Seung Y. Lee. in seriousness, thank you @Newsweek for my first full-time job. and especially @granteb, who has been the best editor I've worked with. Laid off. If you know of anyone hiring/looking for freelance pitches, let me know. Update: today would have been my 2 year anniversary at Newsweek, except I'm now a free agent! So get at me! Newsweek employees had gone to work on Friday bracing themselves for the layoffs. Recode reported Thursday that "between 5 and 10" employees at the magazine would be let go. IBT Media bought Newsweek in 2013, ending the magazine's relationship with the Daily Beast. At that time, Newsweek had ceased its print edition; IBT Media relaunched that a year later. The company's namesake website was rocked on Thursday when at least 30 people were laid off. Entire sections were eliminated as part of what the company described as a "restructuring," leaving only the sports, breaking news and entertainment desks. The layoffs, which affected top editors and rank-and-file reporters alike, came as a shock to the IBT newsroom. But the cuts were preceded by months of turbulence. A payroll problem in February left several staffers without a paycheck. In March, more than a dozen employees were laid off, including editor-in-chief Peter Goodman, who has since joined the New York Times. Despite that, some IBT staffers had a sense that the publication was rebounding thanks in part to the hiring of Dayan Candappa, who replaced Goodman last month. "It was a surprise for everyone in that things seemed to be an upswing," Joel Warner, a reporter who was among those laid off on Thursday, told CNNMoney. "Dayan came in and was saying all the right things. He was speaking really intelligently about how we need to move forward." Newsweek employees were officially notified of the layoffs in an early afternoon email on Friday. Like their IBT counterparts, the magazine's staff had been initially caught off guard by the development. But like IBT, there was also evidence of budgetary problems at Newsweek. One employee who was among those laid off on Friday said that three writers who left Newsweek this year were not replaced. "That's never a good sign," the laid off employee told CNNMoney.